As pioneers in management thought leadership, AIMA embarked upon the innovative initiative to study the management practices of corporate India in conjunction with the mandate of the Asian Association of Management Organisations (AAMO). The Management Capability Index was first conceived by the New Zealand Institute of Management and has been conducted by several member nations of AAMO. AIMA has been conducting this Survey in India since 2010 in the format developed by New Zealand Institute of Management. 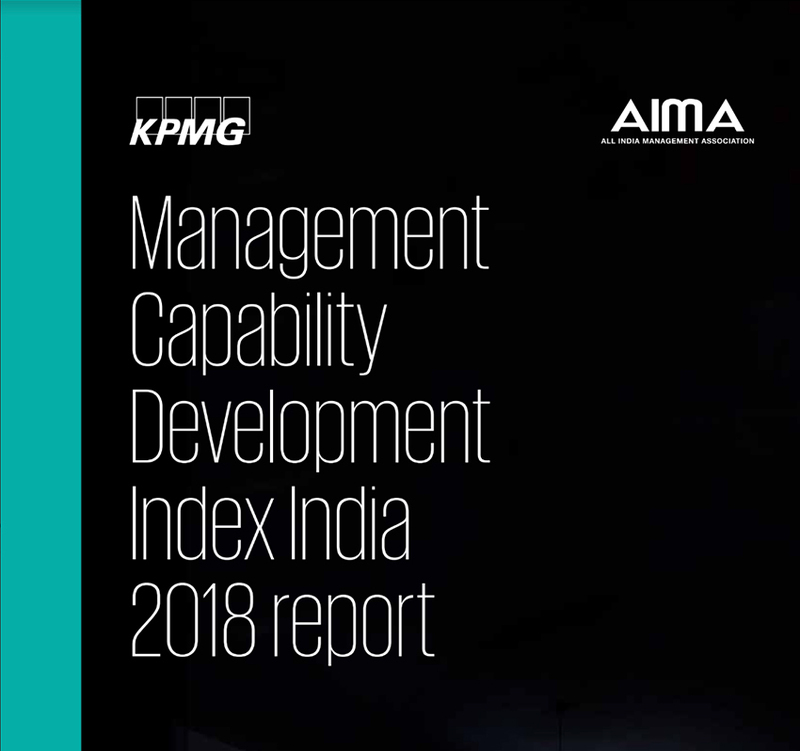 The Management Capability Development Index India 2018 Report is AIMA's fifth such initiative, in collaboration with KPMG in India. The MCDI survey is used to measure and evaluate management capability across industries and sectors.